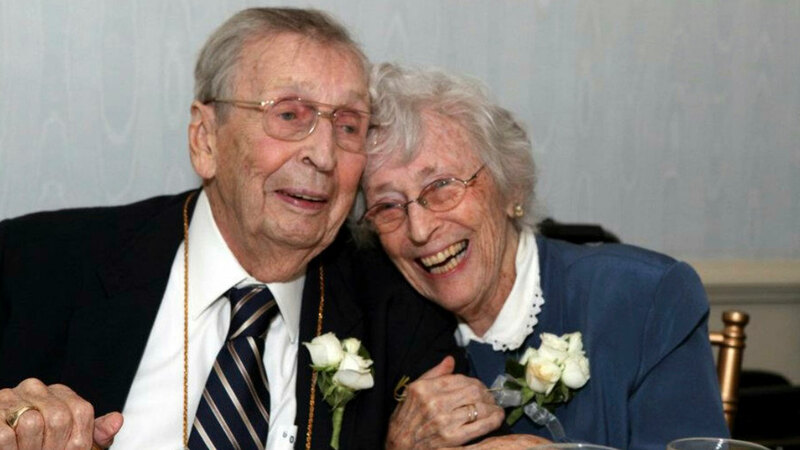 DELMAR, New York -- An upstate New York couple born two years and two days apart and married 78 years has died within two days of each other. According to their family, 98-year-old Evelyn Bennett Drake died July 20 and 100-year-old Gilbert Orzell Drake passed away two days later. Both died of natural causes with their family by their sides at the couple's home in Delmar, an Albany suburb. The family says said Evelyn would've turned 99 on Aug. 8, while her husband would've been 101 on Aug. 10. Granddaughter Elizabeth Officer says the Drakes were married Oct. 13, 1939. In addition to their two sons and a daughter, the Drakes are survived by Officer and four other grandchildren and two great-grandchildren. A private graveside family service is planned.